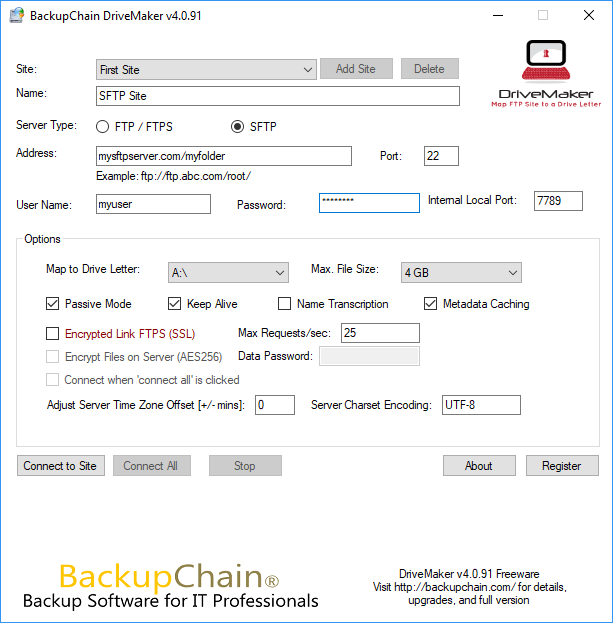 Are you looking for a freeware SFTP Net Drive alternative to map SFTP as local drive via SFTP? The freeware available is called DriveMaker, which allows you to map and mount SFTP in Windows as a real drive letter. It’s also free for commercial users. It’s very simple to use: enter address, server type (FTP, SFTP), port number, user name and password. Hit ‘Connect to Site’ and it maps the remote site as a real drive letter that you can use in the command prompt, notepad, Visual Studio, Microsoft Office, and even anti-virus software. RAMMap Alternative: Simple Automation and It's Free!